Curry On Cooking - amazing spice kits for home cooked curries. Time to ditch the jars and the pastes. Throw out the old spices at the back of your cupboard! Tried and tested Curry kits. Keep korma…and give the great British curry! And remember…curry is for life, not just for Christmas! Oh, and there's free shipping on orders within the UK and Spain! Korma (mild) Keep Korma and Curry On! Hi there! We’re the Spice Sisters, Nilam and Veena. 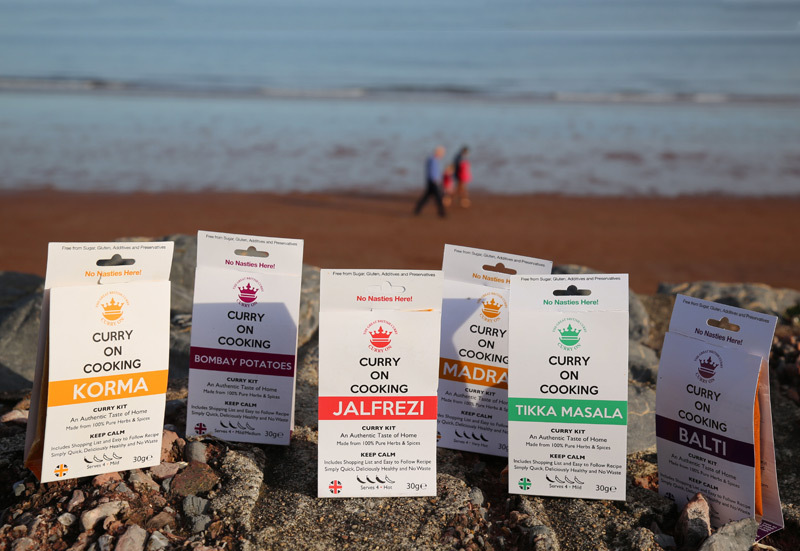 We love food: especially Indian food, so we married our Britishness to our culinary skills to create six lip-smacking currylicious spice kits! I have been using the mixes for over a year, much easier than having loads of spices which tend to loose flavour over time, also saves having to measure out spices ever time you cook a curry.Highly recommend 5 star. Had some friends over at the weekend. Cooked Balti Chiken they loved it . One of the guests had three helpings said it was the best curry he had ever eaten! Just made the most fantastic korma after buying your product today at Peak village 0utlet. Wow! Flavours exploded in our mouths and can’t believe our luck in finding your mixture. The chicken Jalfreizi was amazing! It took around 25 mins to cook from start to finish. It was eaten so quickly we didn’t get a chance to take pics! This was about the easiest and most delicately spiced curry I have ever made. Recently cooked Tikka Masala and Balti using your curry kits purchased at the Bretby Xmas Food Fair. Both fantastic simple recipes with an excellent mix of herbs and spices. Added extra chopped tomatoes – very, very nice. Highly recommended. Will be ordering more! Just cooked the Tikka Masala curry using your curry kit. Yummy! The best curry mixes with the authenticity that takes you back to India. Love the idea of containing a shopping list instructions. I LOVE! LOVE! 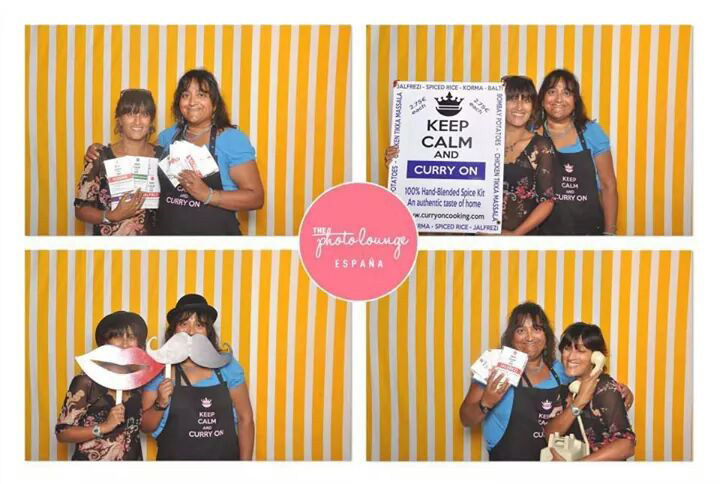 LOVE your curry kits!